first franchise of its kind. Meet DAV (pronounced Dave). DAV drives your message straight to your target audience. Your message is mobile, customizable and highly targeted. The ads are mobile, customizable and trackable. Welcome to Running Boards Marketing, the first franchise of its kind. When you join our family, you’re not just getting a cutting-edge business, you’re part of a team who cares about your success and independence. And we have fun doing it. 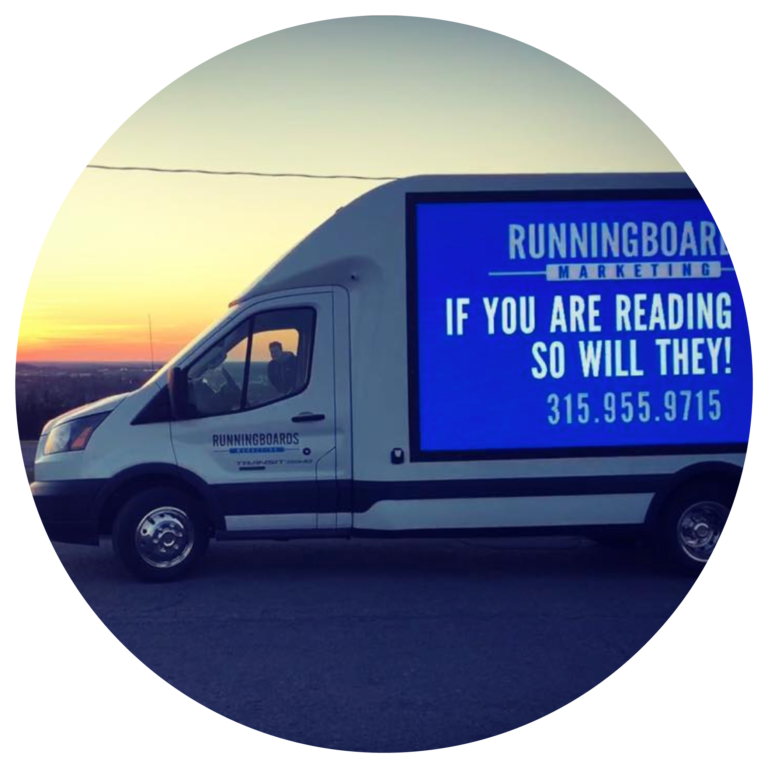 So, what is it exactly that Running Boards Marketing does? Everyone has a message that they want others to see: We display that message to the world. 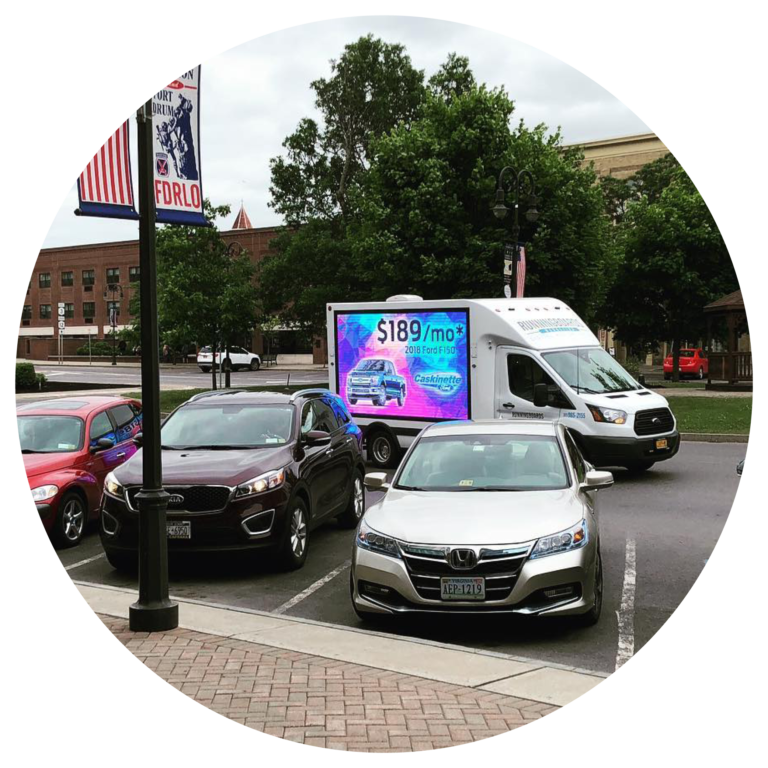 Whether that message is a company’s advertisement, a political campaign message, or even an embarrassing Happy 16th Birthday message parked in front of a high school, we drive people’s message pretty much wherever they need it seen. Companies are buying radio ads that people often don’t hear because they change the station, or they listen to online commercial free services like Spotify and Pandora. Advertisers are spending thousands of dollars on billboards that people end up ignoring. And with all the competition for customers’ attention, it’s difficult for most to create ads that stand out from their competition. Running Boards Marketing is a key to overcoming these common obstacles in traditional out of home advertising. And how exactly do we do that? Meet DAV (pronounced “dave”), our Digital Advertising Vehicle. With DAV’s high-rez LED displays, it’s nearly impossible for your clients’ ad to be blocked, skipped or ignored. With our software, RBM Velocity, clients can easily adjust their messages as their target audience, location and time change. RBM Velocity also provides tracking reports of when and where your clients’ messages are displayed. You don’t need to lease space or pay for a build out. DAV will work just fine right from your driveway. In fact, that’s how this all got started. 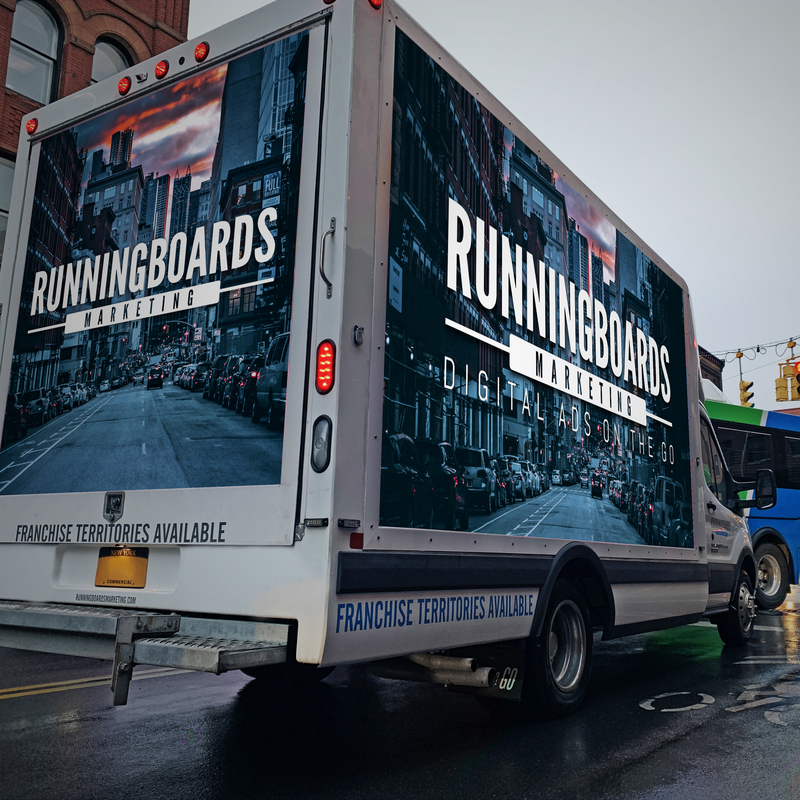 Running Boards Marketing was founded in January, 2018 by Richard C. (“Calvin”) McNeely III and Zachariah Yelle. The marketing concept was birthed while developing a marketing campaign for a restaurant in the Watertown, NY area. Calvin McNeely is a true entrepreneur. He started his first business at age 18, with his HQ in his upstairs bedroom of his parents’ house. He’s owned over 30 businesses, start-ups and acquisitions, with many successes. His most notable being Hi-Lite Airfield Services, formed in 1989. Now, the Hi-Lite Group of companies has offices around the world to service Airport Runways and Airfields. Recognizing the struggle he and other business owners have getting brand awareness in their community, he co-founded Running Boards Marketing (RBM), his next greatest venture. and fulfilling a need Calvin saw based on his other investment holdings. This is an untapped marketing sector and RBM will lead the way! Calvin has always had a passion for family and business. He’s a lifelong resident of Jefferson County, NY, married to Rhonda for 37 years, has three married children and eight grandchildren! Zach is a lifelong resident of Jefferson County, married to Shyanne, with a beautiful daughter and one more on the way. He has been in the marketing business for 5 years focusing on Social Media, Videography and Graphic Design. His passion has always been for technology. He has done everything from building robots in high school to designing and building stage sets and program managing for musicals and concerts. Zach takes pride in knowing that anything he does, he does with excellence. Chris has more than 20 years of successful consultative sales, marketing and business development experience working in commercial and industrial business-to-business and franchising market sectors. Chris has worked with clients through out North America including all 50 US States and most Canadian provinces focusing on listening and understand the needs of each client, presenting an appropriate opportunity or solution and being there every step of the way with transparency, integrity and support. Chris resides in Winston-Salem, NC with his wife Zina. They have four grown children, four grandchildren, two dogs and one cat. Jarod holds the degrees of Bachelor of Science in accounting, and Master of Business Administration from Le Moyne College and is a licensed as a Certified Public Accountant in the state of New York. He was born and raised in Belleville, NY where he graduated from Belleville-Henderson Central School District in 2004. Currently, Jarod resides in Mannsville, NY with his wife and four children. Hi, I'm Chris, and I'm a big family guy (father of six!). While my various management positions through the years have had many commitments and responsibilities, my passion in work has always been to build a team that is like family, and not simply a collection of co-workers. I previously worked for 18.5 years at SpringDrive Graphics, most of it as the Quality Assurance Manager. My focus there was Data Center Infrastructure Management (DCIM), which included project management, which often involved multiple simultaneous product deployments with companies around the world. Also, I headed up the creation and maintenance of operations manuals, employee training and customer support, and consulted in DCIM software development. 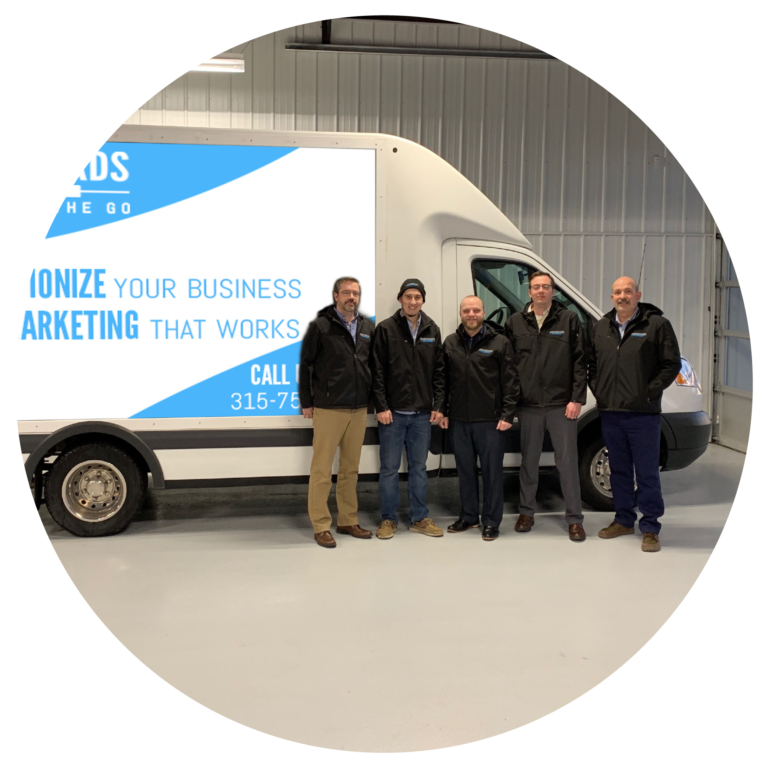 I bring my blend of passion and commitment to Running Boards Marketing so that, together, we can build a brand driven by community, elevating all who come in contact with us, and having a lot fun doing it! Range of start-up expense is $70,500-$255,200. The greater of 6% of Gross Revenues per month or $500 per month. $50,000 in liquid capital; a net worth of $150,000. Owner/operator, executive owner and semi-absentee candidates. Approximate population of 125,000 people. Up and running as quickly as 3-4 weeks! No need for brick and mortar to start up your initial operations. RBM requires you to have $50,000 in liquid capital and a net worth of $150,000. 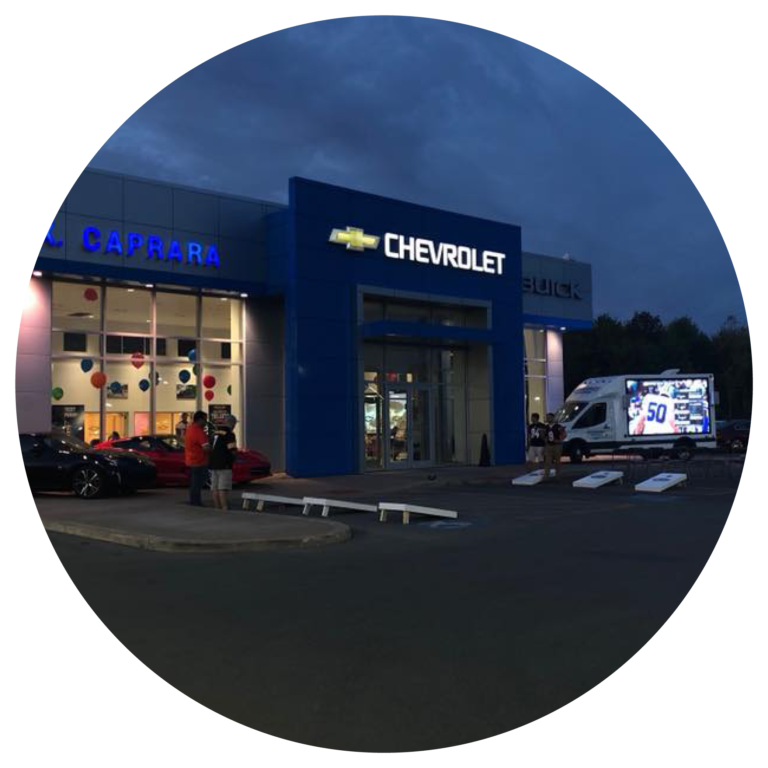 Why are you interested in owning a Running Boards franchise? This web site and the franchise sales information on this site do not constitute an offer to sell a franchise. The offer of a franchise can only be made through the delivery of a Franchise Disclosure Document (FDD.) Certain states require that we register the FDD in those states. Such registration, or exemption, does not constitute approval of the information in the FDD by that state agency. The communications on this web site are not directed by us to the residents of any of those states. Moreover, we will not offer or sell franchises in those states unless we have registered the FDD (or obtained an applicable exemption from registration) and delivered the FDD to the prospective franchisee in compliance with applicable law.